In recent years, event organizers have faced increased pressure from animal advocates, culminating in a lawsuit that prevented use of a live opossum in the 2013 event. 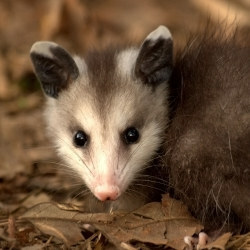 Not to be deterred, State Representative Roger West (who also happens to sponsor the Opossum Drop) introduced a bill (HB 1131) “to exempt Clay County from state wildlife laws with respect to opossums between the dates of December 26 and January 2.” The bill became law in June 2014. An implicit acknowledgement that the event violates the state’s existing wildlife laws, this law sets a poor precedent, prioritizing personal and commercial interests over animal welfare. Worse still, this “family friendly” event teaches young kids in attendance that it’s okay to masquerade animal abuse as entertainment. This leaves us until the end of the year to let North Carolina’s General Assembly know we don’t tolerate this brand of animal cruelty. Fortunately, a trio of Senators that serve on the state’s Environment Committee also voted against this awful piece of legislation. Sign below to stand behind them and call on a law to repeal SL 2014-7. Sign below to help repeal the law that legalizes animal abuse. As members of the state’s Committee on Agriculture, Environment, and Natural Resources, I am writing to you to ask you continue standing up against animal cruelty in all of its manifestations. Specifically, this is a request to repeal SL 2014-7, which permits Brasstown, NC to continue using live opossums in their annual New Year’s celebration, the “Opossum Drop.” All but the event’s most ardent supporters recognize this façade for what it is — animal cruelty masquerading as entertainment. The Opossum Drop is especially dangerous in its depictions of animal cruelty. Billed as a “family friendly” event, the celebration dresses up torture and animal abuse in a veneer of frivolity that belies the tragic underpinnings of the event. Each year, organizers capture and confine the typically reclusive marsupial in a cramped space where it is left to dangle above thousands of cheering onlookers as they celebrate with loud music, fireworks, and even musket fire. Concerned citizens are dismissed as hippie killjoys out to ruin a town tradition in the name of political correctness. But “tradition” often serves as a last refuge for anachronistic practices that fall from social favor. Opossum Drop’s defenders are particularly disingenuous, ignoring the fact that the event was fabricated in 1990 as a desperate marketing ploy for the tiny Appalachian town. Since then, the event has quickly enshrined a public display of animal cruelty that now enjoys state protection. Those same supporters also argue the captive opossum receives better treatment than a wild opossum and then is released back into the wild after the event. Yet reams of evidence and experts counter that the abducted mammal suffers potentially lethal trauma from the exposure and likely perishes shortly after release. Opossums are nocturnal creatures that prefer dark and secure areas — not a Plexiglas case left hanging above a rambunctious crowd during a fireworks show. A replica could easily stand in for these unfortunate opossums and prevent any potential for abuse — not to mention the mounting cost of legal battles in courtrooms and the state legislature — while carrying on the tradition. In fact, true adherents should recall the very first Opossum Drop used a ceramic replica and only later introduced the live opossum. As it stands now, Opossum Drop’s only legacy is one of animal cruelty, teaching future generations that such mistreatment is not only tolerated, but actually encouraged. The punchline of many jokes, it’s easy and even tempting to dismiss the troubles of this solitary marsupial. It gives me some hope to see a small enclave of reason and empathy operating in an environment dominated by personal and commercial interests. Please, do what you can to convince your colleagues and your constituents that SL 2014-7 is a shameful law and needs repealed immediately. That's 67,397 signatures! Let's keep the ball rolling.